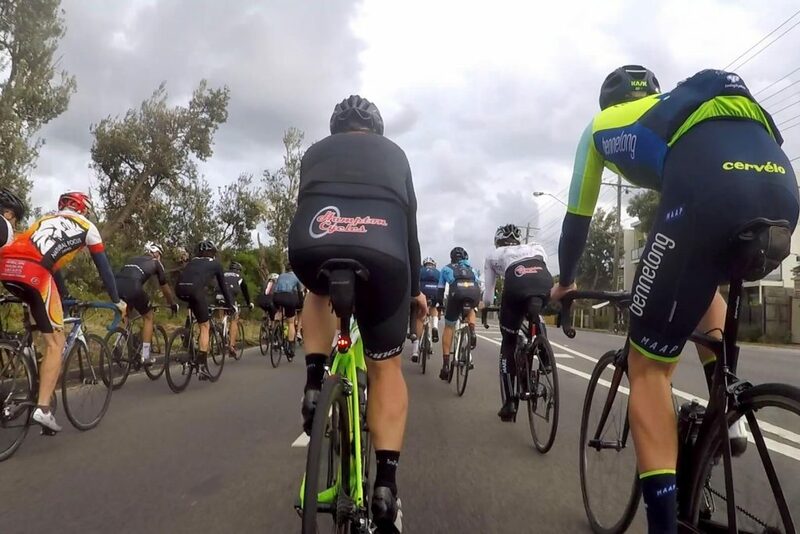 In this article I will outline my own experiences with Melbourne bunch rides, including the aspects that make it a great activity and the characteristics that give cyclists a bad name. I will describe the mental health benefits I’ve obtained from riding in bunches and the etiquette problems I witness on a weekly basis. I will conclude with a proposed solution that Bike Chaser is currently developing to help educate both cyclists and the broader community about bunch riding. To be clear and upfront. I love bunch riding. It’s my favourite physical activity of all. There’s nothing quite like starting your day with the sun popping over the Mount Eliza hills as you gasp for air while following the wheels in front of you. However, there’s a lot of baggage that comes with it, and from what I’ve been exposed to in recent times there appears to be a portion of the cycling community who seem OK to sweep bad etiquette under the carpet, believing that behaviour from cyclists is not the problem and motorists are the ones who need to “share the road” and/or a “metre matters”. While cycling safety marketing campaigns targeted towards motorists are useful, are we neglecting education towards cyclists? It’s a two-way street after all. 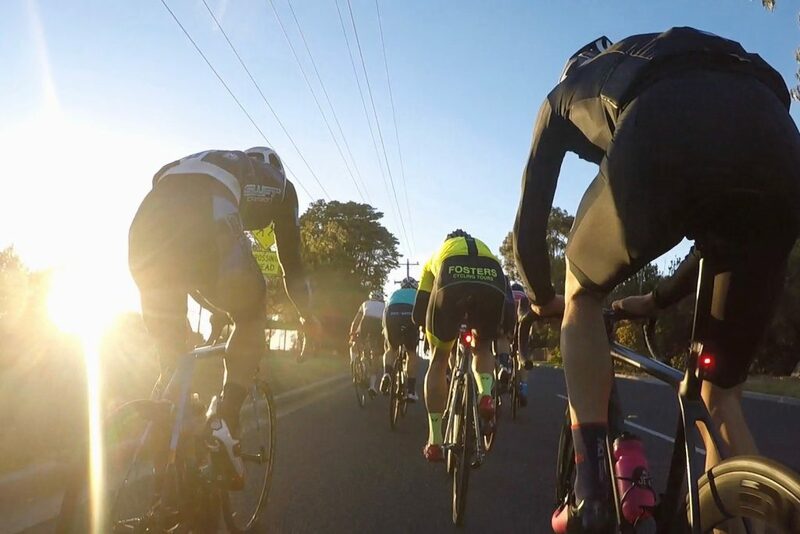 At Bike Chaser, we believe that bunch riding and the lycra culture has a lot to do with hatred towards cyclists. 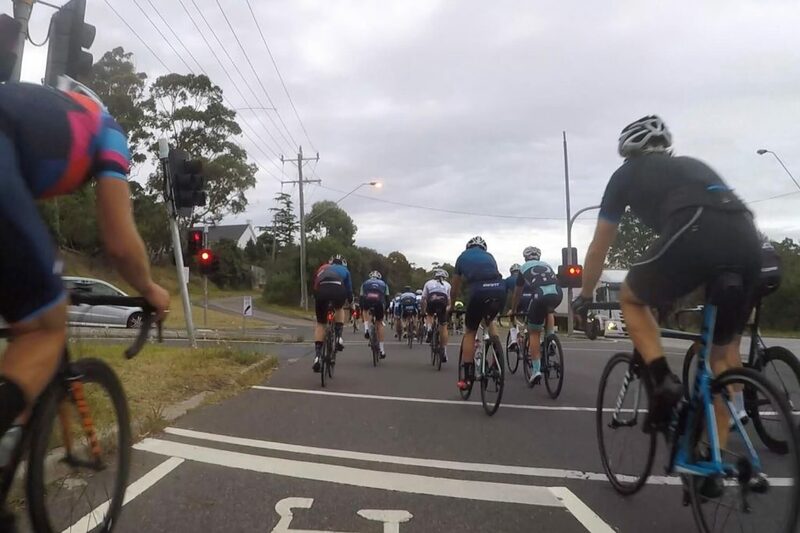 Bad etiquette and poor behaviour of certain individuals within larger bunch rides appears to be a common denominator that fuels hatred towards cyclists within our community. The catch-22 is that these bunch rides provide a great mechanism for people to get fit, clear their mind, and aspire to take up a new hobby away from the nine-to-five grind. And the vast majority of bunch riding cyclists do the right thing! Let me paint a little picture for you. It was April 2015. The last event of a long eight-month season with amateur racing team InForm Racing had concluded, and I was cooked. I’d bee training fairly consistent 8-10 hour weeks for eight months straight. I’d ridden multiple state tours and participated in many Sunday morning and Tuesday evening races across a long criterium season. Squeezing all this into a life as a full-time employee and father of two, I was ready to hang up the bike at the end of the 2014/15 season. And that’s what I did. I gave winter riding a complete miss for the first time since I took up bike riding way back in 2008. InForm Make is now a fully fledged National Road Series team. However, back in the day it was an amateur team with a bunch of 30-year-olds. 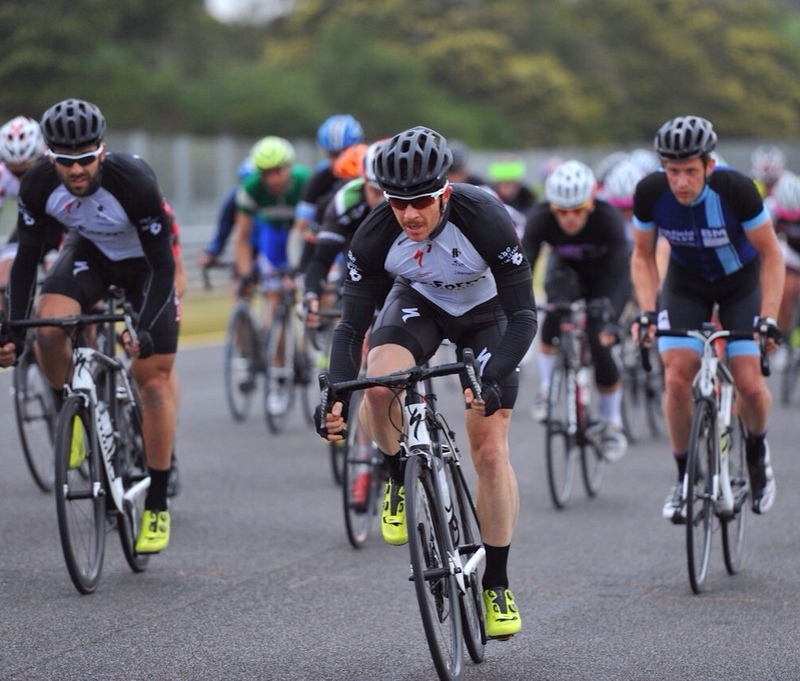 This was me riding in the local Sandown criterium in B grade, just before I made the jump into A. I was also sporting a mo at the time for some strange reason! As I parked my bike in the garage and said “see you in a few months’ time”, I felt relieved. The weight of training and feeling exhausted day-to-day had been lifted off my shoulders and I could focus more of family, work, and other activities (like running, swimming and the gym). It was roughly five months later that I finally took the road bike out of the shed for it’s first spin in a long time. I was heading to Byron Bay for a family vacation and it was time to start building the base again for the next season of races. My winter of 2015 was little different, I started to reflect. I’d spent the cooler months stressed and anxious, with plenty of poor sleep to add into the equation. At the time of this occurring, I hadn’t really put my finger as to why. I assumed the pressures of life were getting more pronounced; with a juicy mortgage, the kids growing up, and supporting a wife who’s also very career oriented. The realisation came when I returned from Byron Bay and started to gain back some fitness. I began riding with some team mates, cruising and chatting side-by-side on some longer distance rides. Then, once the fitness came back to an appropriate level, I began to incorporate some of the local bunch rides here in Melbourne, notably the North Ride ride, Tour de Burbs, and the Hell Ride. 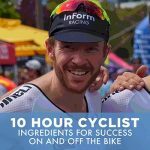 While there’s a lot of irritation towards these large and fast bunch rides – in particular the Hell Ride – when I am fit and capable, I find sitting in the top third, rolling turns to be a safe and predictable environment. Some may be scathing, wondering why I would participate in the Hell Ride and/or write about it. 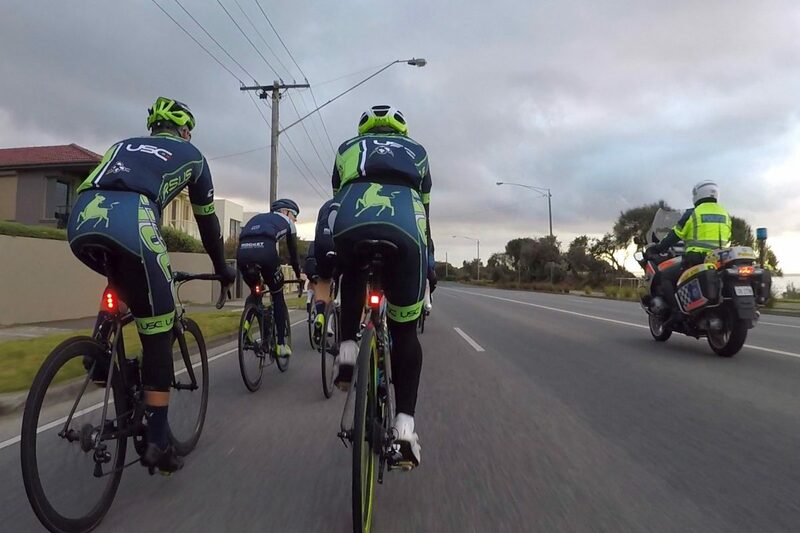 If you’re unfamiliar with this notorious Melbourne bunch ride, see here. Even my business partner and brother in law Jonas couldn’t comprehend it until I explained the situation. Why wouldn’t you just join a more controlled well-behaved bunch? I’ve seen first-hand a lot anger towards large bunches on the road and I understand why. While the poor actions of the bunch don’t represent the vast majority of cyclists within, often the bunch will act illegally (or appear to), angering other cyclists and or motorists… which I’ll get to shortly. The Saturday morning Hell Ride passing another large bunch. If you’re a motorist coming from the rear, you could mistaken this for one big bunch taking up the entire two lanes. It is legal for a bunch to pass another bunch, such as this. Provided it’s two abreast. Cater to different fitness levels: I’m normally after a solid workout (I’m not a big fan of cruising once fit) and I like to ride with friends. A larger bunch ride provides flexibility for you to either do some work up the front or sit in behind a wheel, meaning it can cater for different levels of fitness so you can participate in the same ride as your friends, irrespective of fitness levels. These bunches are consistent: There is no need to organise the ride or be reliant on friends being on time, you rock up at 7 am and the bunch is there. If your friends are there, great. If they’re not you’ve got a group to ride with and a pace that works for you. It clears stress and anxiety: These rides are great for your mental health. They’re fast and tough; your heart is pumping! There’s no drifting off and thinking about work when you’re following the wheel in front of you or swapping turns at the front. Your natural instincts are heightened and you wipe the mind clear of any stressful thoughts. The top third is safe & considerate: I’ll only ride in these fast bunches if my fitness is up and I can hold the top third of the bunch. There, I know the more experienced riders position themselves. In this part of the bunch the ride is safe, well organised, and obeys the road laws. The back-end of the bunch is another story. So going back to my time off the bike in 2015. I was running, swimming, going to the gym etc. I did these activities before I took up cycling in 2008. However pre 2008 I didn’t have kids, a mortgage, nor a senior level corporate job. The distractions of social media and mobile phone technology was also significantly less than what it has become today. All these new swirling thoughts in my mind and digital habits became relentless. Of course, they had been there previously, but my cycling and bunch riding habits had always been consistent, meaning 3-4 times a week I would wash my thoughts away for a period of one to three hours. Let’s just call that at least five hours per week in a completely meditative state. Take those five hours away and I was constantly ‘on’ in the winter of 2015. Yes; running swimming, and gym is a release, but I’d always be thinking about something – work, bills or the kids, and often still be near my iPhone. I was never forced to concentrate so closely on something like rolling turns or following the wheel in front of me on the rivet. Thus, I was never really able to completely let go. After a few months of being back on the bike in late 2015 and bunch riding on a consistent basis, it hit me. Bunch riding was therapy not only for my body, but also my mind and soul. I was less stressed, sleeping better, and an all-round happier husband, father and friend. Wiping the mind clean multiple times a week with bunch riding had me in a better state of mind. A compelling benefit that I’m certain resonates with many other cyclists out there. Before I talk about the lows, I think you’ll agree with me when I say: there are plenty of well-behaved bunches out on the road. Most cyclists do the right thing. I recently joined a morning bunch ride on Beach Road (Melbourne) with a group that wear a bright yellow ‘Lexus’ kit. They are a very well organised bunch. Everyone knows each other, they won’t allow unknown cyclists to join their controlled turns, and they communicate exceptionally well. This communication enables them to pass other bunches in a single file, not pushing over into the right hand lane. It also keeps the bunch tight without looking daunting as it approaches other riders on the road, or as motorists approach it from behind. But without organisation and control, like this Lexus ride, out of control things will occur. As part of a documentary Bike Chaser is putting together on the Hell Ride (and the bunch riding culture of Melbourne more broadly), we’ve been analysing local bunch rides with close eyes. In addition, we have been filming an array of different scenarios which demonstrate many nuances of large bunch rides. While it’s clear these ‘nuances’ will educate motorists about certain scenarios – for example where one bunch will pass another bunch – the fact is, many cyclists make poor decisions in front of motorists, pedestrians, and other cyclists every single day of the week. The back end of a large bunch will clearly run a red light. The bunch balloons out to 3, 4, or even 5 abreast. There’s abuse from within the bunch towards motorists. On the weekend, I saw a cyclist within the Hell Ride get in a verbal altercation with a motorist at a set of traffic lights. That day the weather was blowing a strong cross wind and the bunch was sprawling out close to the dotted lines into the right hand lane on the way back to Black Rock (finish line), so I assume there may have been a close encounter with the car before stopping at the lights. The language that was used on both sides was aggressive, but then the cyclist opened the car door and hurled further abuse before the lights went green. It was during a part of the ride where you’re essentially on a main street, so many pedestrians and other motorists saw this unfold. Moments early, I had stopped at a set of clearly red traffic lights, only to see about 10 riders fly past me through a blatant red. At least six motorists and five pedestrians would have seen this. Early in the same ride, riders from the rear of the bunch had crept up at a set of traffic lights. The bunch appeared to be six or seven abreast as a couple of motorists appeared from the rear in the right hand lane. What are these motorists and pedestrians thinking when they see these actions unfold? There’s no doubt there are nuances when it comes to bunch riding and orange/red traffic lights. However it’s clear that many cyclists break the law and neglect the impact running red lights has on fuelling hatred more broadly towards the cycling community. You can see in this image a car on the left and a truck opposite. What do they think when they see this? Is it “Inconsiderate cyclists breaking the law”? The scenarios I mention above, that used to be me. I used to be seen running a red light, being involved in taking up multiple lanes and hurling abuse back at a motorists (although can’t say I’ve ever opened a car door). However through education and awareness I now operate under a different paradigm. I will stop at a red light every single day of the week. I will ride two abreast and will only manoeuvre up in a bunch if I can see no cars coming from the rear, and I will be quick with my actions. If a motorist does something offensive or dangerous, I will try and speak with that person in a calm and constructive manner (if I get the opportunity). Cyclists are ultimately the minority on our roads and that ‘minority’ status won’t be changing anytime soon. As a minority, it’s important that we recognise that poor actions in a bunch ride – particular those that occur in front of other motorists and pedestrians – are what fuels anger towards cyclists. It’s simple: running a red light is a selfish act. Not because it fuels hatred towards yourself, but because it fuels hatred towards all cyclists. Don’t do it. It’s not hard. And if you’re with me, help by educating other cyclists out there who don’t understand the impact these poor split second decisions are having on everyone else. As a minority on the roads we need to set the example and lead from the front. Even if a small percentage of riders make better decisions, it will go a long way to reducing the unlawful acts that spur on a subsection of the community to hate on cyclists. With a passion for bunch riding and improving cycling safety on our roads, we’re currently in the process of filming a documentary on the Hell Ride. A full explanation can be listened to in this podcast. Our main objective is to educate the community about bunch riding – that is cyclists, motorists and anyone who uses our roads. We also want to humanise cyclists and change the lens on the “lycra culture”. Lastly, we want to open up the discussion on how we create a safer place for motorists and cyclists to co-exist. Well said, I agree many cyclists need to pull their heads in and stop doing stupid things in front of motorists. But the challenge is educating the ones out there who are need it!!! Thanks for the comment Elliott. Appreciate the sentiment too. You make a good point. I get more disappointed by cyclists running red lights and flaunting the law than by the few motorists that have a go at me for no reason. Be the change you want to see! Hi Paul, thanks for sharing your views. I tend to agree. I really get frustrated seeing cyclists fuel the anger towards the rest of us by running reds. I feel education is the key as unfortunately many are not aware of the downstream effects of these type of poor split second decisions! I’ve always felt that I’m in more danger and more of a target for road rage in a bunch than when I’m with just one or two other riders. Even in a “safe” bunch you have zero control over your surroundings and when someone lays it down in front you have no-where to go. With a decade of racing experience and 150,000km, I don’t think bunch rides in Melbourne are worth it. Hi Trent, interesting to hear you experiences and view on bunch rides here in Melbourne. Really appreciate you sharing your thoughts. Well said. Im really a novice and as such i spend most of my road cycling on bike paths now. I was at one time in a club and the etiquette was single lane single file. Dual lane take the whole lane, well most of safely. I drive a heavy vehicle and as you say both are at fault, I understand we all share the roads, but road choice should be a relevant decision. Some of the best training roads sometimes are the worse for interaction with vehicles. Stay safe and calm just enjoy the ride. Thanks Malcolm, appreciate you sharing your experiences and perspectives. I also commute to and from the city and find the non Lycra community frequently breaking the law by running red lights and swerving into traffic lanes with cars approaching fast desperately leaving work to make it home for dinner and home and away! I pride myself by obeying the law and also pulling the above mentioned cyclists up on their wrong doings which in most cases is generally met with unfriendly responses. Nevertheless, I will continue to fight the good fight and pull people up on their bad behaviour in hope one day they will do the right thing. Happy to support your work Cam. Thanks for the comment Nicky and great work on pulling up some of the bad behaviour. I too experience defensiveness when I try and educate people about their behaviour on our roads. Hopefully it sinks into their skulls later in the day when they reflect on your comment and their behaviour! Keep it up. One of the biggest problems with bunch riding is the disparity in ability and fitness! Ideally the Hell Ride or any larger bunch should run two groups! Trying to (hang on the back) of A graders is fun but when you’re strung out there’s a tendency for bad mistakes! I know this because I’m no A grader! Also, the Hell Ride has so many traffic lights, that if you stop, that could be the end of your bunch! Wave goodbye! I ride out in the Hills with a fast group where we don’t have those problems! We also have regroup areas! Great commentary by all contributors but I think one of the biggest issues with red lights is being confident that if you stop the guys behind you will also. At times you intend stopping but you can hear someone behind you yelling “rolling” so you think you have to keep going or risk being hit from behind. Also I think most people at various levels enjoy riding in a bunch and if there were more bunches with organised abilities some of the issues would be reduced.